California State Route 1 — alternatively the Coast Highway, Cabrillo Highway, Pacific Coast Highway, or the PCH — is perhaps one of the ultimate drives in the US. That is if you're not stuck behind 10 cars trailing a diesel soot-spewing 1970s Winnebago with about even odds of summiting the next small rise. 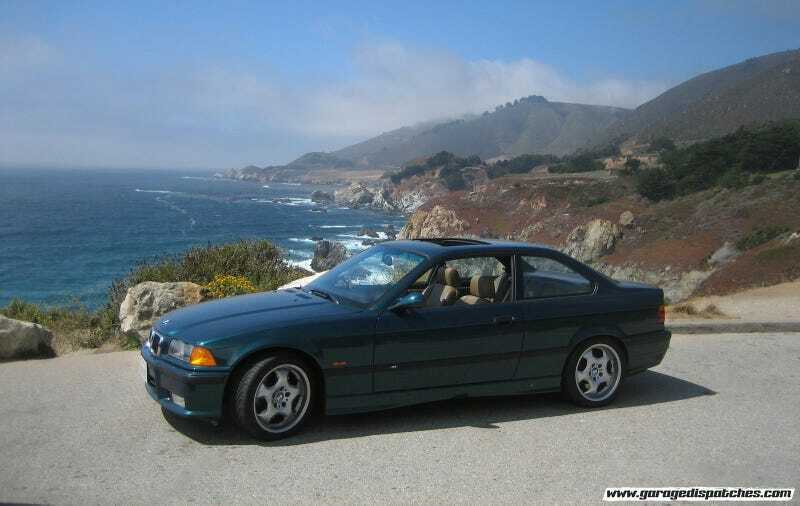 Photo details: A then new-to-me BMW E36 M3 in Big Sur back in 2007 during a road trip from SF to LA. Shot on a crappy point-and-shoot hence the low resolution. Edited via Photoshop to remove any indication of the vacation traffic that frequently snarls what is an otherwise amazing driving route.